Check Texas Mega Millions Lottery Winning Numbers – Millions of players enjoy the games of the TX Lottery every day, but the biggest resulting winner is Texas education. The Texas Lottery isn’t just about fun and games; the TX Lottery generates revenue for Texas education and veteran assistance programs while incorporating the highest standards of security, integrity, and responsible gaming principles. Mega Millions is the multi-state game that Texans have come to love. Choose 5 numbers plus a Mega Ball number, and remember, when you buy, Megaply fora chance to increase your non-grand/jackpot prize winnings! Mega Millions is one of the two large multi-state lottery games played in the U.S. Draws take place in Atlanta, Georgia, on Tuesdays and Fridays, at 11 p.m. ET. The game costs $2 a ticket and is played by picking five numbers from a set of 70 and one Mega Ball number from a set of 25. Mega Millions offers a $40 Million starting jackpot and a second-tier (Match 5+0) prize of $1,000,000. How to play the Mega Millions? Mega Million jackpots start at $40 million! You can always ask your Texas Lottery® retailer for a “Quick Pick” and the terminal will pick all your numbers for you! Just the Jackpot™ is a new wager available to Mega Million players. Just the Jackpot Play offers 2 chances to win the Mega Millions Grand Prize for $3. Just the Jackpot wagers are eligible for the Mega Millions Grand Prize ONLY! Just the Jackpot wagers are not eligible to win any other prize (non-Grand Prize) in the Mega Millions game. Drawings are broadcast each Tuesday and Friday at 10:12 p.m. CT. Ticket sales are not available during Draw Break, from 9:45 – 10:15 p.m. 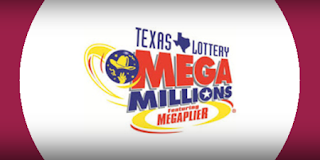 In Texas, there was a total of more than $11,000,000 worth of Mega Million ticket sales Tuesday night alone. Mega Million players select five numbers from 1 to 70 and one Mega Ball number from 1 to 25. In 2016, Texas Lottery saw record-breaking sales of $5.07 billion. A revenue transfer of $1.39 billion was given to the state, making it the single largest annual lottery transfer in the state’s history. More than $66 million since the fiscal year 2010 has been transferred to the Texas Veterans Commission, benefiting the Fund For Veterans’ Assitance.